Finally, Moorhuhn strikes back! Get set, aim, fire...and never neglect your own cover. Fight against the AI, your friends...or your enemies! Pure Moorhuhn action! 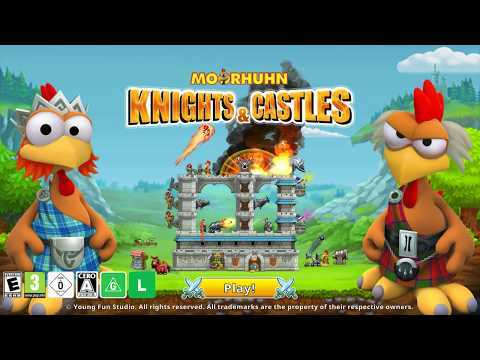 Moorhuhn Knights & Castles was released on Switch 468d ago in the US and the UK. Notify me when Moorhuhn Knights & Castles is available. Based on 1 Moorhuhn Knights & Castles review, Moorhuhn Knights & Castles gets an average review score of 40. This game isn’t worth your money or your time, which makes the $30 asking price particularly outrageous.